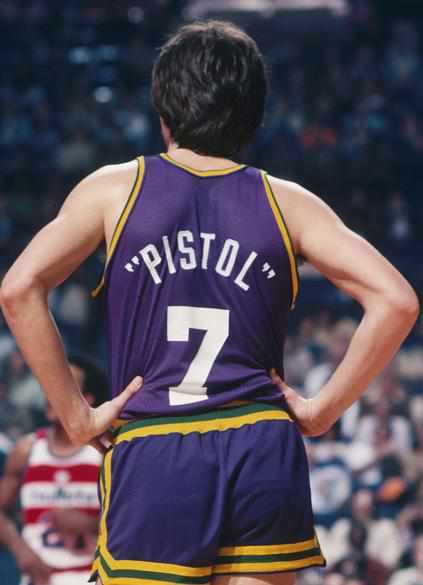 On this day in NBA history, February 25th of 1977, the late, great Pistol Pete Maravich scored 68 points (one less point than his college career high) in a 124-107 victory over the New York Knicks. 68 without a 3-point line. 68 without being a 7-footer. 68 against a team loaded with Hall of Famers: Earl Monroe, Bob McAdoo, Bill Bradley, Phil Jackson and Walt Frazier. Granted most of those guys were near the end of their careers but Pete actually outscored all of them combined by 20 points. His final stat line in 43 minutes was 68 points, 6 rebounds, 6 assists. 26-of-43 from the field and 16-of-19 from the line. 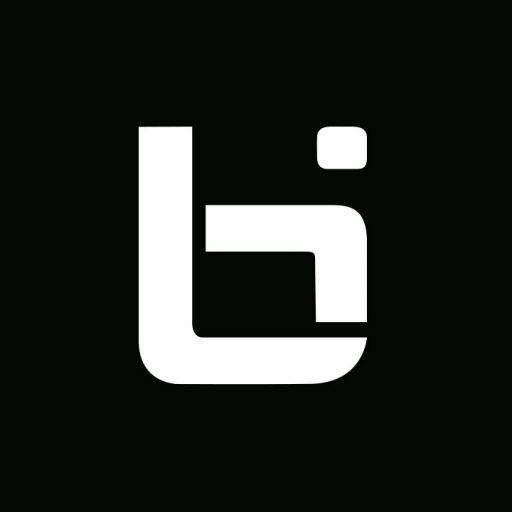 He scored 17 in the 1st quarter, 14 in the 2nd, 17 in the 3rd and 20 in the 4th. 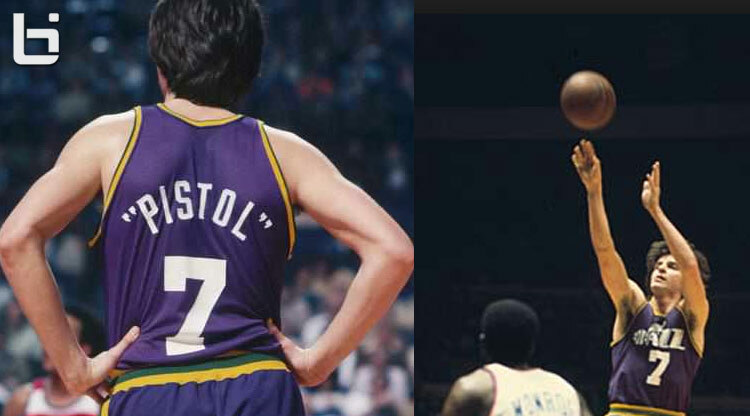 As an encore, Maravich scored 40 points in his next game, which gave him a three-game total of 146 points. That’s a lot of shooting even for a guy named Pistol.